*The following is a summarized version of a presentation by Kevin Heintz, Wordvice Content Manager/Senior Editor, at the annual convention of the Transplantation Society of Taiwan on 3 November, 2017. In the world of clinical and scientific research, rejection by journals is the norm rather than the exception. Almost all researchers who write manuscripts will receive rejection letters from journals, especially in the beginning stages of their careers, and thus rejection should be seen as a learning experience rather than something to be dejected about. One likely answer to this question is that there is a deficiency in “quality of writing” in a great many manuscripts. 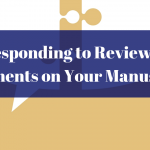 This can lead not only to rejections, but to continued requests for revision and resubmission (if the research itself is deemed significant and valid), as well as deferment, costing researchers extra time, money, and effort. While there is endless excellent research being conducted at any given time, the manuscripts that get published will combine novelty, relevancy, impact, and other scientific parameters of a good manuscript with another parameter whose importance is often overlooked: “quality of writing.” This is the topic of my presentation today. So what exactly is meant by “quality of writing”? Essentially, this term refers to the way in which research is presented in words and explanation in the manuscript. 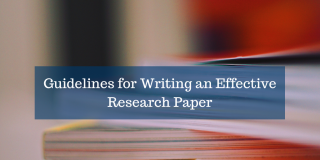 While the quality of writing in a manuscript does not necessarily reflect the rigor or import of the research, it can directly affect how a researcher or journal editor reads your paper. As eminent researcher and professor Dr. Paul T. Wong notes in his essay “7 Common Reasons Why Manuscripts Are Rejected,” a quick glance is often enough to determine whether the quality of writing is up to a publishable standard, and this is why authors must consider quality of writing when drafting and editing their manuscript. Quality of writing will thus be the focus of this presentation. And we shall examine two main categories that impact quality of writing: manuscript content and writing and composition. Following proper manuscript content rules means including the appropriate information in the appropriate section (e.g., Introduction, Methods, Results, and Discussion) to a necessary and sufficient degree. Although a researcher might be under the impression that her study “speaks for itself” regarding its importance, background, results, etc., the fact is that the only element that represents the research in a paper is its writing—its vocabulary, syntax, flow, arguments, and internal logic and structure. Consistency of material: Is the material consistent and logical in its exposition. Does the title match the actual topic? Is the abstract up to date with all of the findings in the paper? Inclusion of appropriate content: Is everything included that needs to be? Do the introductions, methods, results, and discussions sections include all of the necessary information? A 2013 study of papers submitted to medical journals based in African and Asian countries illustrates the breadth and scope of the content and writing issues that are common in submitted manuscripts today. The author notes that while a minority of papers lacked validity or originality, a significant majority had deficits in structure, grammar, spelling, mechanics, and style. In other words, scientific research demonstrates that it isn’t necessarily the science causing problems for the authors, but rather the quality of writing. So there is ample evidence to suggest that this is a serious concern for all researchers who wish to publish their manuscripts, especially in leading journals. Indeed, researchers should be aware of exactly where and how there are most likely to be errors in their manuscripts. 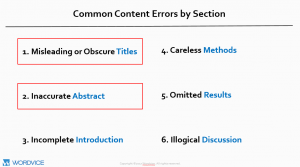 With that in mind, let’s look at some of the most common content errors that writers make by paper section. Use this as a checklist while you draft and revise your manuscript. Ask yourself whether your paper contains any of these deficiencies. After all, you can only find the solution once you have located the problem. Misleading or Obscure Titles. A misleading title that fails to set the limits of a study is a fatal error. For example, a basic investigation that includes children as subjects should mention in its title that the study sample is children and not people of all ages. Failing to identify the limits of the central elements of your study may mislead readers scanning the journal’s table of contents, as well as editors who are wondering what part of your study you actually deem important. Incomplete Introduction. 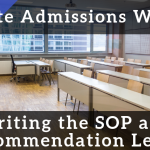 The Introduction serves as an outline for your entire paper and provides the reader information about the background, motivation, and the intentions of the study. Many researchers fail to include enough information (or give too much information) about the study question, hypothesis, and objectives. Many Introductions also tend to miss one or more elements present in the Results or Discussion sections of the paper, perhaps because the author wrote it before writing the rest of the paper or simply ran out of space and chose instead to focus on other elements. A good idea for the Introduction section is to write it last (just before writing the abstract). Careless Methods. 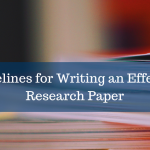 In order to avoid rewriting the methods section, many authors report previously published methods that are similar to the current study or simply copy and paste them. Reproducing such material in this way is akin to self-plagiarism—which, it goes without saying, is frowned upon, to say the least. As with the abstract, the methods section also needs to be updated to reflect the specific current research, in both its design and analysis. Ask yourself: Do all instances I have made to my own results or previous work include citations of my work?If the answer is “no,” then you need to examine and revise them. This is a problem academic writing editors frequently encounter—especially with students (and later researchers) from some academic cultures that do not see reproduction as plagiarism. However, self-plagiarizing beyond a couple of instances will often result in the manuscript being automatically outright rejected without any invitation to re-apply. Omitted Results. In order to adhere to the word limit, authors often omit information from research papers, either intentionally or unintentionally. For example, not all study subjects are accounted for or names of statistical tests are not provided for specific analyses. This is understandable since adhering to the word limit can be difficult, but it can still cause problems for publication. If your results are manifold, focus on the most significant outcomes alone and elaborate on those, rather than listing every single detail of your results. 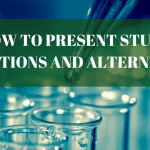 The results that refer back to the problem you presented in the Introduction and abstract will usually be most central to your paper. The flow of ideas is disconnected and not well supported. The content is too expansive and wanders from the results. The presentation is biased, and omits key findings from other investigators. Key results are poorly explained. 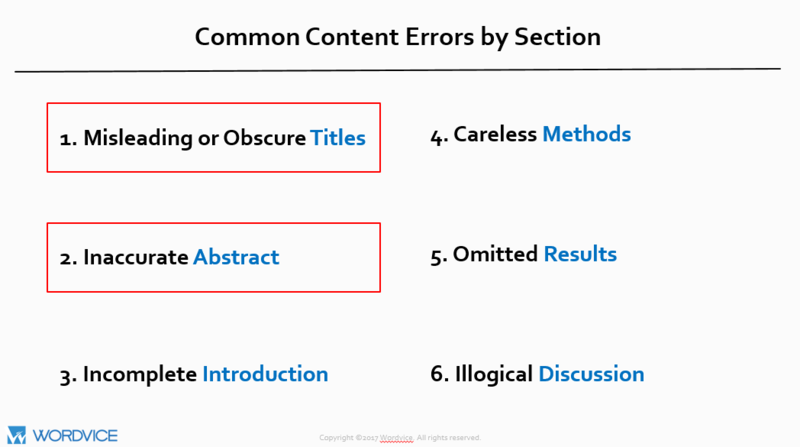 Although all of these content issues are important, for the purposes of this presentation, let’s just focus on the first two categories in this list—the title and the abstract. After all, Dr. Wong suggests that writers “pay special attention to the quality of writing in the abstract as well as the first paragraph…” We will include the title in this group for good measure. Although many scientists don’t spend much time considering their titles, many argue that it is the most important part of any book or essay. After all, it the first thing that any reader sees. Some editors may not even bother to open the manuscript if the title is too long or awkward, or (god forbid) if it has grammar errors. 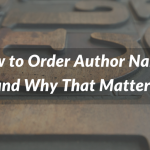 On the other hand, an excellent title can impress peers, increase the chances of peer review, and subsequently increase the number of readers your manuscript will have. Keep it short—one recent study showed that articles with shorter titles are viewed and cited more frequently. Don’t write in complete sentences when a phrase will work even better. Never use abbreviations just to save space—it looks highly unprofessional and also won’t get as many keyword hits in a search. Narrow the scope of your title—If your paper is a cross-sectional study of a gastrointestinal diseases in 70-80 year-olds in Seville, Spain, writing a title that reads “Disorders of the Stomach in Elderly Spanish People” is not going to give readers a good idea of what your paper really covers. 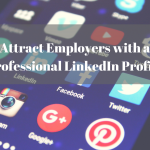 Strike a balance for the keywords–not too general, not too specific. How do you know when you’ve written enough information in the abstract? A simple rule-of-thumb is to imagine that you are another researcher doing a similar study. 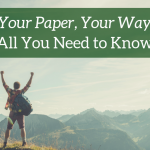 Then ask yourself: if your abstract was the only part of the paper you could access, would you be happy with the amount of information presented there? Does it tell the whole story about your study? If the answer is “no” then the abstract likely needs to be revised. Even better, give your abstract to another reader and ask them if they understand the important aspects of your study. It is crucial to determine which type of abstract a given journal recommends or accepts. If you write an unstructured abstract when the journal calls for a structured one, or a descriptive type when it should be informative, you are not helping make a good impression on the journal editor. Every journal has its own guidelines for abstracts. Whether it be formatting (schools of style, word count, heading rules, etc.) 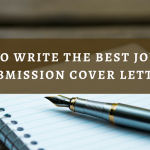 or preference for passive voice over active, the form and style of a journal’s manuscripts can be central to its identity and connecting to its readership and are thus strictly adhered to. A golden rule of journal submissions is to check the submissions guidelines of every journal you submit to. 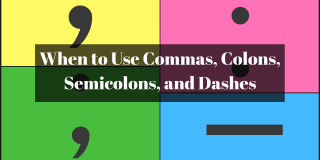 By “writing and composition” we mean the effectiveness with which a paper employs grammar and writing effectively and according to academic standards. Style affects readability, comprehension, and engagement with journal readers. This grammar stuff (considered tedious and trivial by so many scientists) is of paramount importance to journal editors, who understand that readers judge competency and professionalism in part based on the accuracy and fluency of the articles in their publication. In 2016, Wordvice analyzed several million words in the papers we received in the previous year in order to find out exactly where the most errors occurred and to help our clients understand these errors. 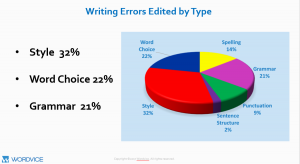 We first divided these errors into several categories, and at the top of the list we found style, word choice, and grammar errors to be the most prevalent. Luckily, many of these can be corrected by the authors themselves quite easily. -Can I Use First-Person Pronouns In A Research Paper? -Which Tense Should Be Used In Abstracts: Past or Present? 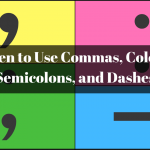 In this presentation we have looked at a few simple ways for authors to improve their manuscripts through self-editing and consulting with peers. 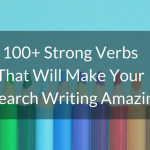 Apply these suggestions to your manuscript—from content and organization down to the detailed sentence-level issues of grammar, word choice, and style—and watch your manuscript improve and your chances of being published increase. 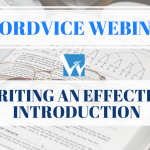 And if you are still in the market for a reputable research paper editing service after you’ve applied these self-editing tips, check out Wordvice Editing Service. 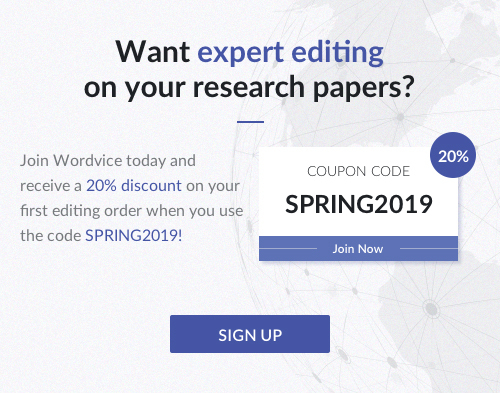 We have hundreds of well-qualified and experienced editors with years of experience in academic editing, which of course includes journal manuscript editing.